Xiaomi has released a major update to their app, adding important new features including an intervalometer! Here are the new features and a tutorial for updating the app or firmware. (updated with new info: August 10, 2017. Added info re intervalometer, updating the firmware, and added a new discount code). – Intervalometer: among other things, this should enable you to take photos with a drone without using a remote control. – Sharing to Weibo and VeeR. NOTE: to get these features, you also need to update the firmware to version 1.3.100.89.5.14246 or later. The intervalometer works even without the phone being connected, so yes this can be used with a drone. After you start the interval shooting, you can turn off your phone’s Wi-Fi to disconnect the camera and the camera will continue shooting. To stop the interval shooting, press the shutter button, or reconnect the camera to the app via Wi-Fi and press the shutter button on the app. The intervals are: 5 secs, 10 secs, 30 secs, 1 min, 2 mins, and 5 mins. These are among the features that have been requested by users, and it’s amazing how responsive Xiaomi’s Mi Sphere team has been! Now here is a tutorial for installing a new firmware or app update. 1. Launch Mi Sphere app. On the upper left corner is a person icon. Tap on that. 3. On the next screen, you’ll see a red dot beside “App version” or “Firmware version” letting you know which one needs an update. If it’s an app update, go to step 4. If it’s a firmware update, go to step 5. If there are updates for both, it’s usually better to update the app first before updating the firmware. For iOS, updating the app is via the App Store. For Google Play Store, sometimes the Google Play Store version is updated, and all you have to do is click on the update button. The steps here are for cases where the Google Play Store version is not yet updated. a. For app updates, tap on the app version. The app update will download. Go to step 4.b. b. To update the app: Go to “My Files,” look for the Downloads folder, and you should see the downloaded file for the app update. To update the app, tap on the file. Your phone may warn you against installing from unknown sources. Authorize unknown sources just for this time. Then tap on Install. That’s all there is to it for app updates. Before updating your camera’s firmware, please be sure your camera and phone are FULLY CHARGED. Otherwise your camera might get bricked. a. For a firmware update, tap on the firmware version and click on “update” or “download update” to begin downloading the update. b. When the firmware update has been downloaded, you will be asked to connect the camera to the app to install the firmware update. c. To connect the camera to the app, go back to the app’s main screen and tap on the camera icon. Turn on your camera’s Wi-Fi by pressing the Wi-Fi button next to the power button. On the app, tap on your camera and select it from the available Wi-Fi networks (you may need to wait 5 secs. or so before the camera’s Wi-Fi network shows up). The default password is 12345678.
d. When the camera is connected to the app, you will see a new screen with a button to update the firmware. Tap on “Update Now” to update the firmware. Wait for the app to transfer the firmware to the camera, and for the camera to install the firmware. While this is happening, do not switch apps on your phone, and do not turn off the camera or else it could get bricked. The camera will automatically restart after installing the firmware. That’s all there is to it for firmware updates. Don’t forget that there’s an ongoing sale for Mi Sphere at GearBest. Here’s the link. Use the code XMACGJB to get the special price of $239.99. Note: there is a limited quantity of units available at this price. If the coupon has been used up or expired, try these other coupons. Awesome update… I use Timelapse for images on my Ricoh Theta S when I attach it to my drone. Glad to see that is now an option. Any word on a Mac or iPad app? Thanks for the tip on update!!! Woohoo an intervalometer! What are the intervals it can take photos at? Once every second? If my interval shooting (photo mode) would work, here are the slider settings. 5 sec, 10s, 30s, 60s, 2min, 5min. Thanks Karl. I haven’t gotten mine to work either yet. Will test… haven’t tested yet. Also appears to allow export of 4K video on iPhone6s and higher. Has anyone had a chance to confirm? App did update via the play store V. 1.8.0.14238. Just finished clearing cache in app, and rebooting my phone (HTC U11). – Took some photos and videos, about 1/3 of them told me they were corrupted. – several app crashes (force close) when taking photos and videos, had to swipe away the app, then launch app/reconnect to camera to take another photo/video. – Photos: trying interval shooting gives me an error in viewfinder “too many operations, try again later”, will not take interval photos. Timer option works. – Videos: Time-lapse video works. – Vidoes: shot video works, however, the slider will not let me ‘turn-off’. If I start a video from my phone, it follows the slider setting (even if the slider is not showing). All issues have been resolved! My app version was probably ahead of the firmware so I was getting these issues. – Photomode: timer, works as expected, however, I think the video time-lapse works better for me since I don’t really have/use software that will put the timelapse together into an animation/video (like for a sunset or something). – All functions work again so check your firmware! Hello, is there a possibility to disconnect the microphone of the camera? How can i change the audio path in a video? At last we have a proper software release from mijia/xiaomi that qualifies as the 1st stable release ever for mijia sphere and not beta-ware !!! I can now, finally, recommend this cam – considering its price range. and why i cant change the resolutions? Hi Zak. Pls. 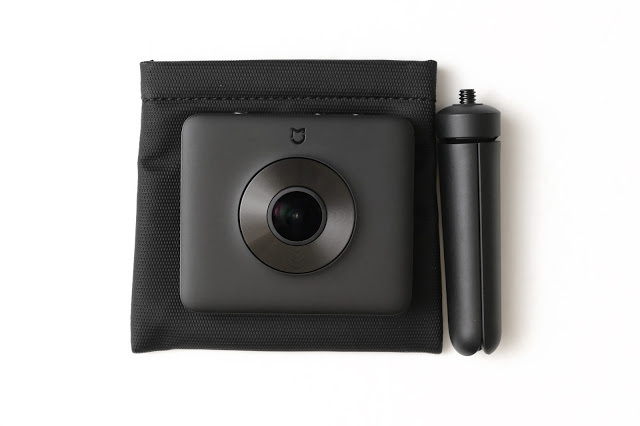 search facebook.com/groups/mijia360cam and if hasn’t been answered, please post this issue so the madv engineers can answer it. Thanks for the good information, even if it’s too late for me. I would recommend that you add a warning in really big text to let people know that they must prevent their phone from going into sleep mode if they are updating the camera firmware through the app. It seems I just bricked my new (new to me but slightly used) camera because my phone went into sleep mode before the camera finished updating the firmware. Since the default setting for most phones is that they go to sleep after a minute or so, I can’t understand how the the camera app doesn’t tolerate this, or at least display a big warning screen telling you to not let your phone sleep. 1. Take out the SD card, backup your files, format the card and put it back to the camera. 2. When the camera is off, press the WIFI button, then click the power button until the two LED lights are flashing. I will add this to the FAQ. Wow, I hope you’re billing Mi big bucks for being there customer service expert. When I had the problem, I first called there customer service number, this didn’t get me far. Then I contacted them through there chat function this went better, but they were trying to make it a problem with the app/phone when it was definitely a problem with the camera. I also emailed them, they also treated it like an app problem even though I described what was probably an error code flashing on the camera. So, after chatting with them for maybe an hour, I asked directly if there was a way to reset the camera. They said NO. I asked if there was anything else I could try to fix the camera. Again, NO. None of the 4 people that I worked with ever even mentioned the SD card. Per your instructions, I started by removing the SD card – right then and there the camera started responding properly. My computer doesn’t see the SD card when I insert it, but that’s not a big deal. It looks likely that If I get a new SD card, the camera will work. If I were smarter, I would have thought to remove the SD card myself. But the fact that none of the 4 Mi customer service people thought to mention the SD card doesn’t say good things about there knowledge of this camera. Thank you so much for your quick and informed response Mic. Thank you very much Roger. I’m glad your issue got resolved! No I don’t get compensated by Xiaomi, although I do receive commissions from Gearbest and Amazon when people use my affiliate links. I have a similar issue, where the two led (picture and video icons) are flashing twice, and then one long solid pause. Flash twice, one long solid pause. I followed your instructions to hold down wifi and power until the two led light flash… but then what’s next step? I can’t get beyond the flashing LEDs. If I then let go, it stays in this same state. If I press and Hold power button alone, it stops the LED’s, and lights up the Battery LED briefly, before going completely dark. When the 2 LED (camera/video) are flashing, does that mean that it’s “re-booting” or going through a “factory reset”… should I just let it flash and wait a longer time? My firmware update failed, and I too now get two blinking LED’s (the camera and video icons). I tried to follow your instruction, but the two button press (wifi and power) don’t seem to do anything. If I hold down the power button while LED’s are flashing, both lights go out, and very briefly the battery LED flashes once, and goes out. If now I hold down wifi and power, nothing happens. If I hold down Power alone, I get both camera and video LED short flash twice, followed by a third long flash (4 seconds long), then it goes back to two short LED flashes, and again one 4 second flash. Any suggestions for me, the customer service chats have offered zero help to me, suggested I go back to gearbest. I’m at a loss, I just got this camera, and updating the firmware failed on the first day. Hello guys, just got my Xiaomi Mi Sphere Camera, downloaded the app on my iphone 5. But it doesn´t show the preview on the phone! Beside the photo and videos can be viewed on the computer through the sd card. Whats wrong please? I need to see the preview before taking the shots, to get a sense of what its shooting! Hello, just got the camera and updated my firmware, but now the two camera icons on the camera just keep flashing on and off, and I can’t do anything with the camera. Any ideas on what I can do? What problem is this indicating? I want to do my stills transcoding and editing on a Windows 7 PC but the Desktop Software seems useless. After I transcode all I get is a grey JPG with a black bar on the left hand side. How can I transcode, and select different transformations (tiny planet, etc.)? Is there alternatice PC software? Thanks. Mine dont even work right. I updated firmware via internet not by app cause it wont connect to app 99 % of the time. And wont stay connected to computer more then 10 seconds so gotta time it right to even update it. Got it to work once. Most the time it just keeps restarting. The buttons dont work like they are supposed to where it switches from photo to video. Battery seems to die fast. I think I got a lemon. Cause this is a piece of crap. Still trying to update it but like I said it worked only once and even then it was poor quality compared to other videos I’ve seen online. So I’ve been having issues with the camera ever since I purchased it. I was using the Mi Sphere iOS app (on an iPhone 8+), I purchased a SanDisk Evo Select U3 Class 10 128GB microSD card (which I know isn’t one of the recommended cards but was recommended by other blogs/bloggers as being compatible with the camera), set up the camera for the first time, I got prompted to install an updated firmware (which went really quickly), and then I started having issues: the camera was restarting on its own in the middle of filming (thus corrupting footage it was taking), the WiFi kept constantly disconnecting, and, when the WiFi was connected, the preview was not always displaying in the app and it was nearly impossible to download the footage (with the WiFi constantly disconnecting). At first, I thought the corruption and WiFi issues might have been the SD card. So I removed the SD card and tried to connect to the camera via WiFi…and, unfortunately, experienced the same WiFi connectivity issues. I tried clearing/reformatting the SD card and performing a factory reset on the camera several times to no avail. I found a website (through other blogs) that contained the firmwares and apps for the camera (http://ez-team.com/xiaomi.html) and wanted to try reinstalling the latest firmware via SD card. I followed the instructions outlined on the site, got to the flashing photo/video lights (which, according to the website, indicates that the update is being performed), and that’s as far as I’ve gotten. It’s been about an hour and a half since I started the update and I’m concerned it is not successfully updating. According to the website, interrupting the update might brick the camera (which I’m definitely not trying to do). I’m not sure what to do from here. I bought the camera to use for my vacation coming up and I don’t think I’ll be able to return the camera and get a new one before I leave. Any help you can provide would be greatly appreciated! (Sorry for the long e-mail – I just wanted to be as detailed as possible on the hardware I’m using, the issues I’ve experienced, and the steps I’ve taken up to this point). My firmware will upload and then will only install 26% of the way and then disconnect. Any suggestions?